Getting Your Toddler To Share. I have been trying to get my toddler to share his toys. Now, when he sees another child he will automatically handover to that child the toy he is playing with even if the other child has not asked for it /is not interested. I am not sure this is good either as I don’t want him to think others should always come first! I don’t want to send mixed messages either or he is going to get confused. What would you recommend? I have a one year old who sometimes has issues sharing at nursery and I have also seen her pull hair of other children, though I obviously have to leave reprimands to the nursery staff. Are there any games we can play to help sharing? We do try sharing games at home, just wondered if you had useful tips. How can you make your disapproval known in situations? I frown and say no, but she smiles back! There’s no denying that it can be tough to teach a two or three year old child to share, but learning to share is a very important milestone in your toddler’s social development and it’s certainly worth the effort. The use of a few basic sharing tools and creative techniques will help I suggest. When your toddler has a toy designed for individual play, use a timer to show your little one how to take turns. Set the timer for a short interval of one or two minutes and allow each child in a group to take turns with the object or toy. If there are no siblings or other children to play with, get on the floor and demonstrate the art of taking turns with your toddler yourself. Another way to teach turn taking is to play musical shares. Take one of your toddler’s special toys (perhaps a stuffed teddy bear or doll) and play musical shares with it by passing it back and forth to music. This is great way to demonstrate to your toddler that another child will not permanently take the toy away. When a toddler has ample opportunities to play with others their own age they will be more likely to learn about the benefits of sharing over time so give lots of praise when they get it right ! The post Getting Your Toddler To Share. 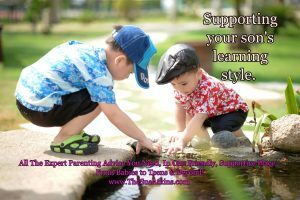 appeared first on Sue Atkins The Parenting Coach.